There are so many great subscriptions online that it is hard to keep track of all of them. This week we will focus on Organizing Your Electronic Subscriptions. This will not only help you know where you are spending excess money, but also help you know what items are the best deals for your family. Compare Digital Streaming Subscriptions: There are tons of options out there, but it all boils down to what is the best for your family. HuluPlus, Netflix and Amazon Prime are the most common subscription streaming services. Compare what shows and movies are available, the monthly cost and if there are any other things offered with the service. Amazon Prime has multiple benefits outside just TV and video streaming. You may find that it is worth it to your family to keep multiple streaming subscriptions, but you may decide that canceling your cable or satellite subscription would be a good idea. Check Statements For Monthly Subscription Boxes: Have you ever signed up for a free trial offer of a subscription box, but you forgot to cancel the monthly subscription. Jewelry, makeup, food, shoes, clothing and even purses are all available in monthly subscription boxes. Take a moment to go through you email, bank statement or credit card statement to see if you have any monthly subscription boxes you aren’t using. Evaluate What Sites & Feeds You Pay For: Do you pay for a subscription to access a site for education? Perhaps you have purchased into an RSS feed with weekly or daily tips? Now is the time to look over this information and make a choice of continuing or canceling now to save money. Upgrade Subscriptions As Desired: Some subscriptions offer upgrades that may be beneficial for your family. Now is the time to look at the latest offers, the best deals and to see if you are eligible for any good customer discounts. Cancel Unused Subscriptions: You know those random subscriptions we told you to check for? Now is the time to spend a few hours calling to cancel them. 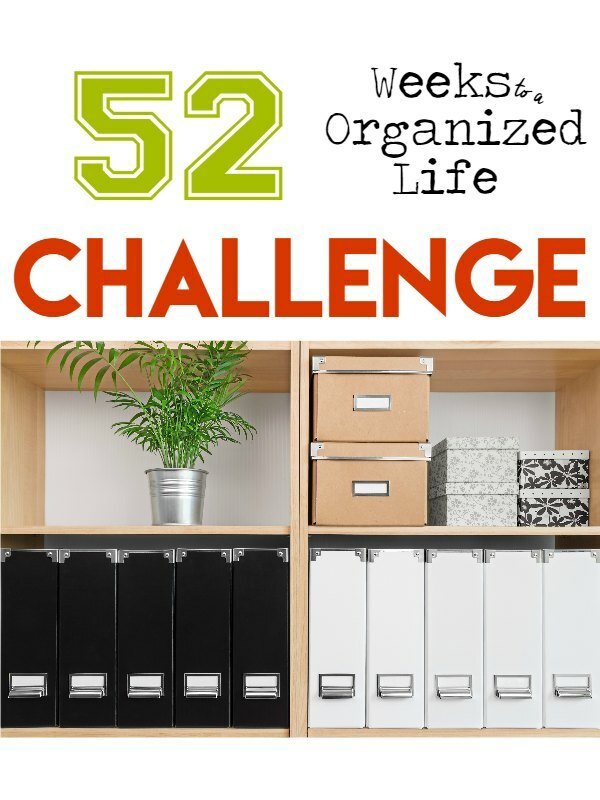 Not only will you be saving money, you’ll be ridding your house of clutter too. Stand firm and don’t let them up sell you to a different box. Also make sure to always get confirmation codes. If you were paying for the subscription via Paypal, you can also go into your account there and cancel there as an added precaution. 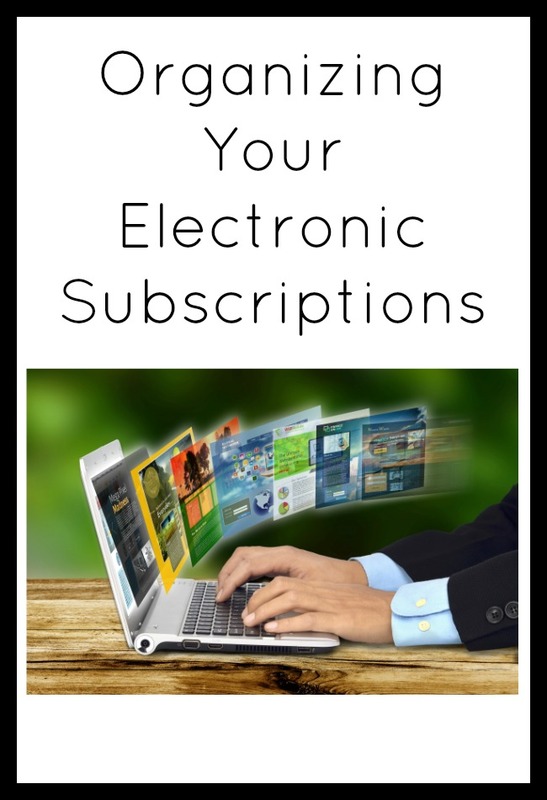 Organizing your digital subscriptions is a big part of saving money in your overall household budge. Things like this are huge budget killers if not controlled. Taking the time this week to evaluate and organize your electronic subscriptions is an important part of household organization. Every month I thoroughly scan my credit card and Paypal statements to verify that there are no unwanted subscriptions. It’s a smart policy that can save a lot of money in the long run.